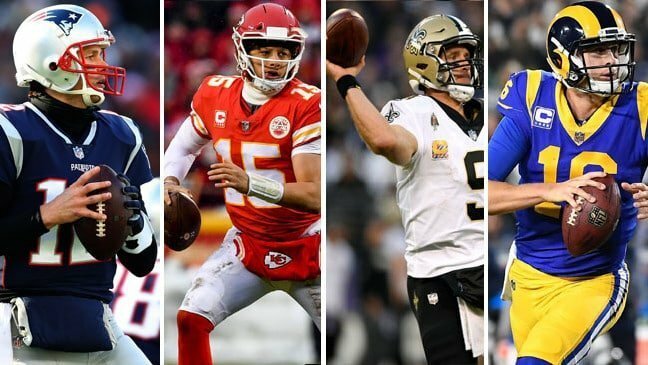 There has not been a final four in the NFL that has quite the storylines, starpower and intrigue as this weekend in a very long time. Just think about what the product/talent/experience will be on Sunday. Remember to visit MyBookie before the game! They’re giving our fans a 50% bonus on their first deposit. Use the code FANTOM or click here. Here’s How The NFL Championship Weekend Will Go! Two rematches of classic games from the regular season, which saw the offenses of all four teams go off, with the stars showing brightly in each of the contests. If that does not get you pumped up for the doubleheader on Sunday, I do not know what will. But lets break the games down from a wagering perspective. Take this into account at first blush when seeing the line. The oddsmakers generally give the home team 3 points. So to Vegas, the game, played on a neutral field, is a toss up. And frankly, they may be right. The talent is pretty even on both sides of the ball and the matchups are tremendous. But in this matchup, keep this in mind. The last time the New Orleans Saints lost a home playoff game was in 1992. 1992!!!! 27 years. Insane. But to get to that point, it is also important to remember the past, even the past that occurred way back in 2018. Earlier this season, the undefeated (at the time), Rams traveled to New Orleans, much like they will Sunday, to battle the Saints. And what ensued was a Fantasy Bonanza. In a game where the defenses were non-existent, Jared Goff and Drew Brees combined to throw for well over 700 yards and 7 touchdowns. Michael Thomas went over 200 yards receiving. Alvin Kamara found the end zone twice on the ground. Todd Gurley, Brandin Cooks and Malcom Brown all found the end zone. But it is the one remaining Ram that found the end zone that may be the biggest difference in how the Rams have played on that side of the ball over the last quarter of the season. The injury to slot receiver extraordinaire Cooper Kupp has been felt throughout the team. 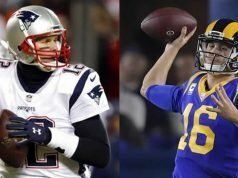 And now, in the biggest game of their season, not to mention the tenures of coach McVey and Goff, can the Rams overcome their most key injury? And the jury will be out to see two players in particular who will need to pick up the slack. Brandin Cooks and Josh Reynolds. While Cooks put together an 80-catch, 1,200 yard season, the last time he topped 100 yards receiving was back in mid-November. And outside of a two-touchdown performance in the season finale against the hapless 49ers, Cooks has not found the end zone since November 11th. The time is now for him to get going. For all the talk that the Rams offense is back, Cooks’ performance certainly is not. And then there is Reynolds. A solid prospect out of Texas A&M who had solid performances (think back to the Rams-Chiefs MNF shoot-out), as well as the finale against the 49ers. But if Goff and the Rams passing offense is going to take any pressure off of Todd Gurley, C.J. Anderson and the Rams ground game, Reynolds has to do better than one catch like he produced last week against the Cowboys. In the dome, under the lights, with so much to play for, are the younger, less experienced Rams ready? Yes, players like Cooks, Talib, Anderson, Shields and Fowler Jr. have playoff experience. But look around to their core. Goff, Gurley, Woods, Everett, Donald and others have not been in this situation. On the road. Chance to go to the Super Bowl. And just how risky/frisky will coach McVey be in the biggest spot he has been in? 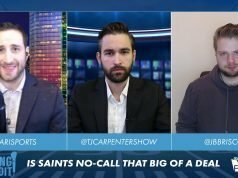 What we do know is the Saints will be primed and ready. Led by a guy that’s one the big game as an underdog, with a quarterback that is simply electric at home and in domes. For his career, Mr. Brees is a 70% passer in domes, with a QB rating of 104. In the big games, he is money. In his two conference title games and one Super Bowl appearance, he has thrown for 839 yards, 7 touchdowns and just one interception. And nine years ago, in the conference title game against Brett Favre and the Vikings, in the “Bountygate Game”, Brees was dominant, tossing three touchdowns en route to the 31-28 win. Leadership is not something you are born with per se. It is earned and learned. And to me, that is worth 2-3 points in any matchup. And for all of the “Rams are back” believers out there, are they really? Do not talk up their last two regular season wins against the Cardinals and 49ers. Two bye games before their actual first round bye. And last week, despite controlling the game from the middle of the second quarter, the Cowboys were still well within striking distance in the fourth quarter and they allowed the Boys to amass 22 points on the road. Last time I checked, Brees>Dak, Kamara/Ingram=Zeke, Thomas, Ginn, Smith>Cooper, Beasley, whoever else you want to add. And the Rams are going to do this on the road, in the loud Superdome? I just do not see it. And is Gurley truly 100%? If he was, would Anderson be given as many carries? And can you truly rely on that type of performance yet again? To me, there are too many unknowns out of the Rams. Are they ready for primetime? Are they ready to take that next step? Is the stage too big? But with the Saints, despite coming out of the gates a bit sloppy last week, remember this. 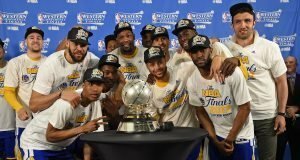 They rested many of their starters during the last week of the regular season and for all intense and purposes, had not played a game in 3 weeks. So after spotting the Eagles the lead, a team that was red-hot, they dominated. And yes, if not for the fortunate 4th quarter interception they may have trailed late. But with the sloppiness out the way and the focus on getting to Atlanta, the Saints do not come out flat again. In what can be accurately described as a “passing of the torch” game, is the end finally here for the Patriots dynasty? Is it really time for the run of ownership in the AFC to end? Even when skeptics thought that was the case three years ago following the road loss to the Broncos, who went on to beat Carolina for the title, the Pats came back the next season by winning the Super Bowl and coming ever so close to repeating last season. And if not for the bumbling efforts of Gronk trying to tackle Kenyan Drake or the idiotic defensive play-call at the end of the Miami game, this contest would be in Foxborough and not Kansas City. So even if the Chiefs knock off the Pats this weekend, why would the Pats NOT be back? Which Gronk will show up? Yes, this may be the last time we see Gronk on the field, regardless of what uniform he is in. Yes, this may be the last time we see Flores as the defensive coordinator of the Pats. But what did they get from Gronk this year? How much of a force (outside of his presence blocking), was he? And you are telling me they will not replace Flores with another defensive wizard (Greg Schiano)? To me, this is much more about the Pats playing on the road, where they have struggled all season, then anything else. Can they overcome their demons (losses to Detroit, Pittsburgh, Miami) and win the biggest game they have played on the road since the aforementioned AFC Title game against Denver? Think about this crazy statistic. Tom Brady has played in more SUPER BOWLS than he has road playoff games in his career. Let that sink in. And yes, the results have been mixed in those road playoff games, especially in title game, but look at the times he lost and who the other team had on the opposite side of the field. Indy-Peyton Manning. Denver #1-Peyton Manning. Denver #2-Peyton Manning. In the first matchup against Indy, the Patriots blew a 21-3 halftime lead in a game they should never have lost. The first Denver AFC Title game was one they got outclassed in. The 2nd won was winnable and if not for a missed XP by Gostkowski early on, the Pats would have forced OT rather than needing to go for two. But back to this weekend. A major storyline that many people are forgetting is the departure of Kareem Hunt from the Chiefs lineup and the success he has had against the Pats over the last two years. While Damian Williams has been electric and Spencer Ware should return to the lineup this weekend, Hunt burst onto the scene with his outstanding performance in the Week 1, 2017 upset in New England and then following it up with 80 yards rushing, over 100 receiving and a touchdown catch in their earlier matchup in 2018. Without him in the lineup, the Patriots can swing more coverage to Tyreek Hill (who scored 3 times in the matchup this season) and allow their solid coverage linebackers to match up one on one with Williams/Ware. Advantage to the Patriots. On the other side of the ball, Sony Michel ran over the Chiefs for over 100 yards this season and has only gotten more comfortable and productive as the season has gone on. The Patriots will surely look to control the clock, maintain possession and use the short passing game to their advantage. Then take a look at the coaching and mismatch there. Will Andy Reid and his horrible Title Game record (1-5), be ready for the big-stage? Can the Chiefs diagnose the tricks and treats the Patriots wizards are cooking up for them and their first year QB? And the advantage in the coaching matchup goes far beyond and X’s and O’s. Think about this. The Patriots, outside of two days over the last two years have practiced in the elements. Like your neighborhood weatherman, through snow, rain, wind, the Patriots are outdoors, while most teams are inside. And come Sunday night, when the wind chill will bring the temperatures close to 0, advantage again to the Pats. Who have played in these conditions for years and are not as reliant on the passing game and potential dropped passes in the elements as are the Chiefs. And while Pat Mahomes may look like a young Marino or Manning, this is his first rodeo. This is his first time in this spot. Will he be able to overcome the big-game jitters? Not every no-look pass will find its mark. Not every burling tight end will be left wide open like the Colts let Travis Kelce appear last week. But the Pats, who have played mediocre at best on the road in 2018, need to overcome the team speed that the Chiefs possess. They have not truly done that in the past, so why should we believe it will start now? Tyreek Hill has made the Pats secondary look stuck in mud. Sammy Watkins finally looks healthy. And much like Gronk appeared for years, who is going to overcome the mismatch that is Kelce? Maybe an athletic Kyle Van Noy will get some help by a McCourty brother, however that just creates a 1 on 1 matchup somewhere else on the field. And we all know how skilled Mahomes is at spreading the ball to all his weapons. But what I keep coming back to is this interesting nugget. The Patriots have not been an underdog since Week 1 of the 2016 season. 3 full seasons including the playoffs. And over the last 5 seasons, they are 5-1 in all games they have been an underdog ATS, with 5 outright wins. That is astounding. And when I look at the matchups, give me the experience, the better coach, the GOAT at QB and a team that is now drawing off being an underdog, with everyone writing them off, with virtually nothing to lose. All of the pressure is on the Chiefs and especially Andy Reid to get to the Super Bowl. I think they fall one game short in a game that will just fall short of total points from their first matchup, but still be close in the 4th quarter and hit the over as well. 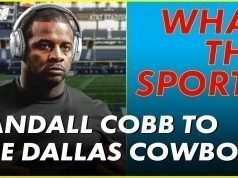 Previous articleWho’s To Blame for the Cowboys Loss to the Rams? Next articleScott Linehan Fired. Symptom or the Problem? Here’s our Super Bowl Prediction!